2015 Volkswagen Jetta SE. 1.8L TSI Turbocharged engine with a 6-Speed Automatic Transmission. RCD 310 Sound System with Bluetooth and Media Device Interface. Heated Front Seating. Multi-Function Steering wheel with a Multi-Function Display. Clean Carfax vehicle history report with only one previous owner. 16 Alloy wheels. Push-Button Engine Start/Stop with a Remote power central locking system. Call 561-808-1853. 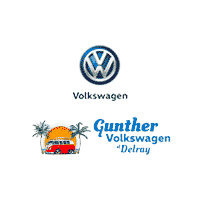 Thank you for stopping by Gunther of Delray Beach located at 2401 North Federal Highway, NORTH OF ATLANTIC AVE on US1. We are your South Florida Dealership specializing in new and quality used vehicles, service and parts. Our knowledgeable sales staff have been trained and certified to provide amazing customer service. Receive an additional $250 OFF our best advertised vehicle prices, please print and bring to Gunther Delray to receive! All prices exclude tax, tag, title, registration fees, governmental fees and any warranty cost or fee applicable to the sale of a car. See dealer for full detail.